The Vice President is being hammered for seeming to condone Chinese-style population control. Answering a question about the one-child policy, he seemed to go out of his way to be noncritical, saying that he “fully understands” the one-child-per-family policy and was not “second-guessing” it. His defenders maintain that this does not constitute an endorsement of the policy, tacit or otherwise, and that Biden was merely being diplomatic. Of course, this is not much of a defense since, even if this is the case, then the Vice President is guilty of whitewashing the worst ongoing human rights abuse of our century, one which costs millions of lives each year. 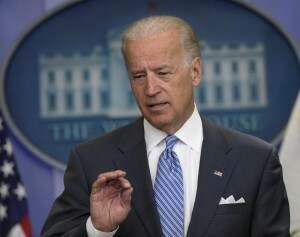 Still others believe that Biden was simply ignorant of the way that Beijing’s one-child policy is enforced by means of forced abortions, forced sterilizations, and other coercive measures. But this explanation doesn’t exculpate the Vice President either, and let me tell you why: I know that Joe Biden “fully understands” how women are arrested for the “crime” of being pregnant, how they are incarcerated and browbeaten for this “crime,” and how they are forced to undergo abortions and sterilizations. I know because, while serving as a Commissioner of the U.S. Commission on Broadcasting to China in the early nineties, I told him so. Rather, my take on the incident is that the Vice President was clearly pandering to his Chinese hosts. It wasn’t ignorance and it wasn’t a gaffe. Biden wanted China’s communist leaders to know that he and the President he serves are more than willing to turn a blind eye to atrocities committed in the name of the one-child policy. In other words, “Understanding” Joe Biden has perfected the kowtow. This is the same administration that continues to pour money into the United Nations Population Fund (UNFPA), which is China’s chief international collaborator when it comes to carrying out the one-child policy. The UNFPA’s so-called “model family planning” program in China is rife with forced abortions, sterilization targets and other coercive tactics, as PRI investigations have repeatedly documented. Yet Obama wants to give another $47 million to the UNFPA in the coming fiscal year. Then there is the money that the Obamanauts continue to funnel to the International Planned Parenthood Federation (IPPF), which also works hand in glove with Beijing’s population control apparatus. I will believe that the Obama administration “strongly opposes all aspects of China’s coercive birth limitation policies” when it stops sending your tax dollars and mine to the UNFPA and the IPPF to fund their dirty work in China. And maybe the next time he visits China the Vice President can be convinced to bang his head on the floor a little less loudly.